Welcome to Mobile Climbing Adventures! Bringing the adventure to you since 2002! Check out our latest video recorded by a GoPro drone! 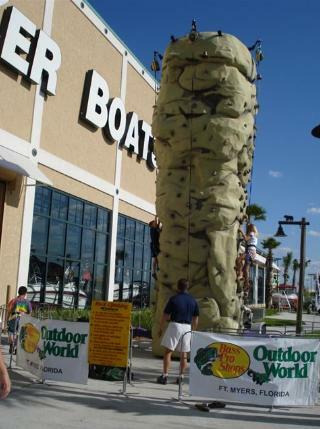 Marco Island Rock Wall from peter kuperman on Vimeo. We provide the staff and all of the equipment for your climbing adventure. What ever your needs, our professional staff is ready for you.